← God, Why Do “Bad” Things Happen? “Bow”—and we kneel or prostrate. “Worship”—and we sit. “From now on, let us observe the rule of bowing and worshiping as it should be observed,” I proposed to the “deacons” (using this term loosely to refer also to the minor orders) of our parish. When I was asked to serve as deacon coordinator, this was one of the newly implemented efforts that at first yielded much resistance. One deacon even likened me to a Pharisee, yet I desperately explained the reason behind our different postures in church, and by God’s grace, even the staunchest of opponents seem to have been convinced (for the most part). “Of the beliefs and practices whether generally accepted or publicly enjoined which are preserved in the Church, some we possess derived from written teaching, [while] others we have received delivered to us “in a mystery” by the tradition of the apostles; both of these in relation to true religion have the same force. And these no one will gainsay—no one, at all events, who is even moderately versed in the institutions of the Church. Originally, the rule was clear: no bending of the knees on Sundays, and the Holy Fifty Days after the resurrection feast. To this it seems to have been added Saturdays, as well as (in the Coptic Church particularly) major feasts of the Lord (of which there are seven), and after taking communion (on any day). Nowadays, exceptions are made for a special type of bending of the knee—a prostration of honor, to the Lord, or to clergy (explained below). St. Basil points out something you may not have realized: the word for resurrection in Greek—anastasis—literally means “standing again.” Think about it: what do we celebrate every Sunday and during the Holy Fifty Days? The resurrection of our Lord! That explains why it makes sense to stand up on Sundays, and during the Holy Fifty Days. And since we still honor the Sabbath, we do not “work” by doing prostrations, but rather remain standing in honor of God. Moreover, prostrations of repentance focus on our destitute condition of sinfulness, and the work and effort needed to overcome our weaknesses; in contrast, the days we are called not to prostrate are more focused on the triumph of our acceptance into heaven and the joy we have in God. This is most notably seen in the Coptic Church’s rites during the Great Lent: go to a liturgy during the weekdays and you will find the most solemn of hymns, and specific moments during the service where the priest calls everyone to prostrate; Saturdays and Sundays are much less solemn, and no such prostration rite is included. This distinction between days that permit prostration and those that do not is directly aligned with the early Church’s original prohibition of fasting on weekends and festive occasions. The early church used to prohibit any fasting on weekends, but eventually an exception was made, but required that the manner of fasting not be as stringent (no abstinence from food before breaking your fast, and no prostrations of repentance). So many others have spoken about this subject, including St. Peter the Seal of Martyrs, Scholar Tertullian, St. John Cassian, St. Jerome, St. Justin Martyr, along with the historians Ibn Kabar, Ibn Seba’a, and Ibn el-Assal; you can read what they said further below (link provided under “Further Resources”). Currently the rule (at least in the Coptic Church) is as follows: prostrating in worship of God and honor to the clergy is permitted any time, even days when bending of the knee is not permitted; however prostrations of repentance are strictly forbidden on such days. When the deacon says “worship God in fear and trembling” or otherwise asks us to worship. This is especially important during the anamnesis, when the priest invokes the Holy Spirit to descend and change the bread and wine to body and blood. During the confession before communion, honoring the Lamb that we are about to partake in. We bow (no matter the day or occasion) to express a feeling of shame over our sins, praying for forgiveness as well as asking for preparedness to partake of the communion. “Bow your heads down to the Lord.” This is the awesome sentence that the deacon cries out as he stands at the altar, calling the congregation and the clergy to bow their heads before God, before they take the Holy Communion. Then the priest calls out: “Sacraments are for the saints” [an alternative translation to, “The Holies for the holy”]. Unfortunately, neither the congregation nor the clergy answer this call as they should. Some hear the call and do not bow their heads, and some hear it and kneel. Both err in their hearing, their understanding, and their response. Here the call is to bow heads before [the] Lord because it is the moment of repentance and confession of sins. It qualifies the congregation to receive the prayer of absolution from the lips of the priest [which occurs in an inaudible prayer while heads are bowed]. Why should we bow our heads but not kneel? It is because it is not a call to honor God in worship, but a call to contrition, to confess our sins with fear and in humility. The deacon’s intent, by calling for the bowing of heads, is to remind us of a particular stance before God, that of the tax collector mentioned by Christ…. This is basically the “lazy man’s prostration.” This is where a person takes their hand and touches the ground (rather than prostrating fully, bending their knees, and having their head touch the ground). The same rule for prostrations applies here. I’ll never forget when I first learned this was in dereliction of an ancient rite. I was in a church where a very strict bishop was visiting, and he blessed the deacons’ vestments, and I, along with the few others with me, did the usual half-metanoia on a Sunday, and he immediately rebuked us all and said firmly, “There are no metanoias on Sunday.” Some thought of him as being a closed-minded bishop. I was like, “What is he talking about?” After understanding the reason for his rebuke, I truly admire his zealousness in preserving ancient rites. This is the posture of monks as they lay covered by some sort of sheet whereby a funeral rite is prayed over them after they have figuratively died to the world and embarked on a new life wed to Christ their bridegroom. I admit, with my flat feet and all, it is quite the relief when it is time to prostrate; but I should be focused solely on the intention behind my actions. I am sad to say that most of us see times of prostration as an opportunity to relax, or get on our phone, or talk with the person next to us, or joke about something, etc. At the time we should be honoring God, we are focused on ourselves and/or others. Sadly, even though people could get on their knees (in spite of the pews we have in place in nearly most Coptic churches today), when it is time to worship most people just sit. They see this as a time to get comfortable. In the 3rd century, St. John Cassian says that when Coptic monks used to prostrate, they would get up very fast to avoid resting or sleeping. That is why praying while standing is better than kneeling at one’s bedside and getting comfortable and sleepy. For the aforementioned reasons, the traditional arrangement of Orthodox Churches does not include pews. Early Coptic Churches (e.g., St. Sergius and St. Bacchus) are designed in this way. The Russian Orthodox Church is well known for maintaining this tradition. Unfortunately, the wide acceptance of pews in Orthodox Churches today seems somewhat indicative of our laziness in modern times. The fact that we do not understand the ritual and spiritual distinctions related to standing, worshiping, and bowing, is further indicative of our lack of connection to the liturgy, whereby we are participating to some degree in “vain worship” which the Lord strongly criticized. The deacon says BOW and we all kneel. The deacon says to WORSHIP and yet we sit. It is sad to see such widespread disconnect with the spirit of the words of liturgy. I hope that this post helps improve that degradation of spirituality. And I hope that you spread the message! Fr Athanasius, Dictionary of Church’s Terminologies, 2nd book, p.187 1st ed (Arabic). Fr Athanasius, Dictionary of Church’s Terminologies, 3rd book, p.291-292 1st ed (Arabic). This entry was posted in Church History, Church Rubrics, Deaconship, Rites and tagged Bowing, Church History, Church Rites, Fr Matthew the Poor, Prostrations, Understanding the purpose behind the rite, Worshipping. Bookmark the permalink. Thanks for sharing! Haha and yes I remember that lol. But I think there are a few points that could warrant further discussion. It became the norm in the middle ages, and there are canons from at least one pope requiring that all prostrate on Sundays. But I’m not convinced this is because a distinction developed between prostration of worship and prostration of repentance. I think it’s more likely it became the norm, and the reason for standing on Sundays was largely forgotten… Long after this became the norm, when the conflict between these two past practices was regarded, the distinction between two kinds of kneeling was probably invented and read back as a way of harmonizing the two practices. The Greeks are very honest, they don’t say their practices is in the spirit of nicaea or following Nicaea. They say that one of their patriarchs changed the practice, preferring the Latin practice, and so switched from the Nicaean practice of standing on Sunday to the Latin practice of kneeling. Many of the other Orthodox Churches say that they should not kneel on Sunday, but often people do. It looks to me like they are doing a better job of being honest about a change and not looking for a way to say it’s really the same. Why did the practice change? Doubtlessly because people gradually changed it. Which is greater? The decisions of individual Patriarchs, or Nicaea? I think that if people want to follow Nicaea and stand, there is no reason at all to oppose it and say “today we kneel”. At my parish, maybe 10%, including the priest, stand and do not kneel on Sundays. 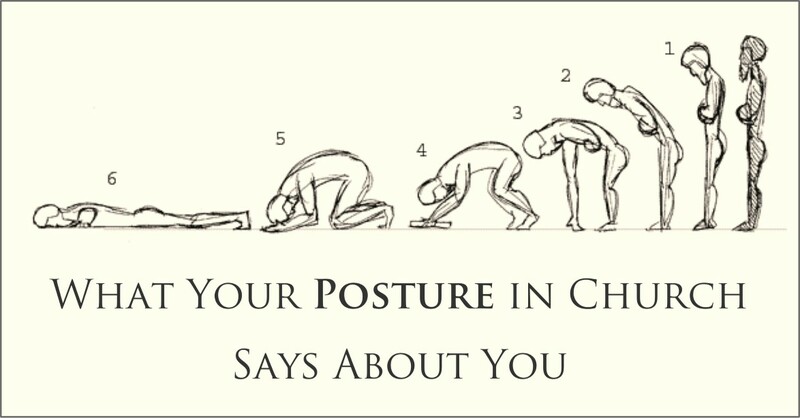 A few kneel, and the rest use the nap time posture. No one bothers anyone else to “do what is right”. I think that encouraging people not to take a nap at the most important time is good, but otherwise. I even think encouraging/explaining why Nicaea decided on not kneeling is good. But I don’t think imposing or pushing for either the current kneeling practice or the earlier standing practice is good, let people express worship as they are comfortable, especially in our parishes where there are people recently from Egypt, people born here, and everything between, since postures in the two culture and associations are quite different. Today, if we greet a royal, we don’t kneel, we don’t even bow deeply, the protocol is to bow from the neck only. So if someone comes to Church and worships by bowing the head, or bowing from the waist, this is very culturally appropriate. If, especially not on a Sunday, someone kneels or fully prostrates, this is appropriate. I don’t think this is what Abouna Matta was arguing against at all. I think the problem he saw was that people acted the same when they were supposed to be worshiping in fear and trembling, or bowing in repentance, indicating that they did not understand what was going on, or perhaps had neither in their heart. The Liturgy codifies prostrating and bowing, but that Liturgy developed in a certain time and place, in a certain culture. If the natural expressions in our culture are a little different, that is OK. I’m not talking about introducing Protestant postures, hand waving, not including the body in a worship as all Orthodox do. I just mean expressing reverence and contrition as is each person is comfortable. 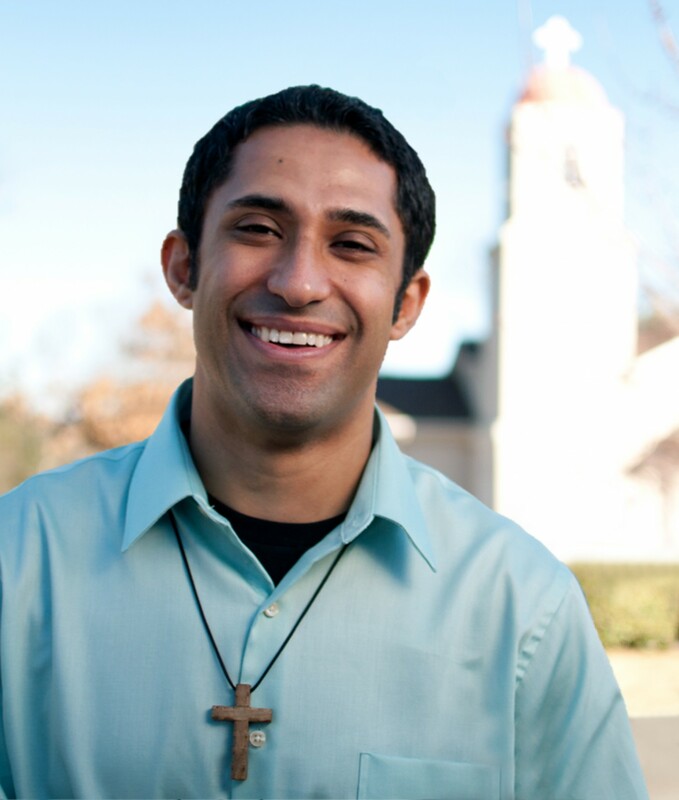 One Indian missionary has his people sit on the ground, because the culture in the region where he serves it is disrespectful to stand before a king, so if he asks them to stand, he is asking them to be casual towards Christ, instead he works within their culture to help them express worship and reverence appropriately. My father in confession told me that yes, the Liturgy book says “the people prostrate”, but that older ones had a footnote saying “on days on which it is legal to do so”. I don’t think I’m not following the Liturgy by following Nicaea and standing with my head bowed. And I don’t think I’m confusing it with the position of contrition for the absolution, since it’s exactly what is done in my culture to greet the queen, not a posture of contrition, but of respect. At a weekday Liturgy outside the holy 50, of course I prostrate. I am also not sure about this idea that today we can prostrate to greet a bishop at any time. Or that bowing from the waist is the same as prostrating. Nicaea said not to bend the knee. On Sundays, we bow from the waste to express worship and reverence, while remaining standing in joy of the resurrection. On weekdays outside the holy 50, we bend the knee. I certainly respect the intent of the bishop you mentioned in wanting to respect the resurrection, but I don’t think bowing is a lazy man’s metonia, I think it is bowing. Certainly if you look at the other Churches, there are times they prostrate, times the kneel, times the bow from the waist, and times they bow from the neck. What matters is that we have in our hearts worship towards God, contrition for our since, or respect for a bishop, etc., as appropriate, and that we engage our bodies in expressing that and aiding in cultivating that in our hearts. Hey Jonathan! Thank you so much for your insightful comments and sharing your thoughts! This blog gives me a chance to learn and gauge my opinions in light of other awesome folks such as yourself. I agree with you wholeheartedly that the key to everything is your very last sentence: “What matters is that we have in our hearts……… and that we engage our bodies in expressing that and aiding in cultivating that in our hearts.” That is the key. But I think there is one other aspect that for some reason I value.. I don’t know exactly why, when I try to think about it… and that is UNIFORMITY. See, the goal of my post was mostly to express the generally understood (by the clergy) practice, at least in the Coptic Church, and synthesize that with what the early Christians thought. So I looked at Bishop Mettaous, Fr. Matthew the Poor, HG Bishop Youssef, the Liturgy today, and then synthesized that with the Council of Nicea, and other early Christian writers. So yes, agree that heart is #1, and that people can express that in various ways, but it makes sense to me that we uniformly worship in a manner that is consistent with the liturgy, and is as consistent as possible with the clergy today and the early Church. Really appreciate you sharing that historical background. Did not know that! But I do want to share this: as an attorney, whenever the judge walked in, we stood up. And you could be strongly rebuked if you did not do so. And only when the sheriff says SIT do we all sit. And we ALL do it. And when speaking to the judge, we would get scolded for doing so if we spoke while sitting. God forbid! EVERYONE understands the uniform rules of the courtroom. Stand when speaking, sit when told, stand when the judge walks in and out. And all of this gives an heir of fear of the awesome power of this judge, and and also teaches us that we are in a special place, and that there are certain protocol and rubrics followed that are in conformity with respect, and that all of us are to UNIFORMLY follow the same rules. I walk outside the courtroom and all that stuff gets thrown out the door. Then I walk into a church, and the judge walks in (the Eucharist is now changed to the actual body and blood of Christ) and yet everyone remains seated. When praying we sometimes remain seated. The deacon asks everyone to worship and people don’t, or bow and people don’t… to me then the deacon is speaking in vain… why say anything if it will not be heeded? Losing uniformity, will God smite us! Of course not. But there is something beautiful about walking into a church and all of us in uniformity worship, with heart. 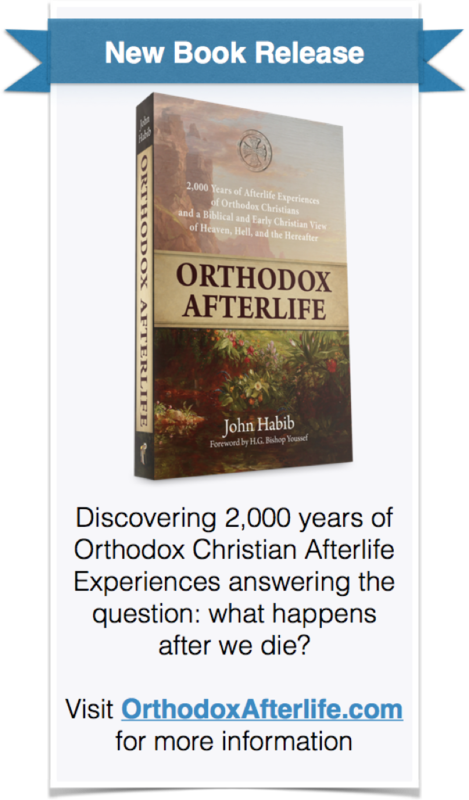 Converts often look at the early Church and come to orthodoxy seeking that church they read in the writings of the early fathers. I think it is good to try to remain consistent with them especially when there is a general consensus on matters. That being said, you are awesome man. Not saying I disagree with you, but that I see it in a different light. You are a blessed guy and I really appreciate you sharing. I personally have no issue with doing a prostration at these points on Sunday, save maybe the absolution. In fact I use this liturgical worship as a point in the need to remove pews, however since we have pews I remain standing and “deeply” bow as you know… I’ve noticed a few people. Without me saying anything, do resist sitting more and stand with their heads bowed, but not for the absolutions. Personally this is a matter I raise with the priest and allow him to correct. Great article. However I am of the belief that Monks wed the church in service. Hey! Maybe you’re right. I think of it like this: the Church is us. We as a whole, the Church, is a bride for Christ. The way I hear nuns, for example, and even St Mary in a particular miracle, speak of being a nun is as though they are being wed to Christ.